Michelle Lim, art historian and curator based in New York and Singapore, will deliver a lecture open to the public as well as students of our University. Dr. Lim is also Assistant Professor at the NTU School of Art Design and Media, Singapore. Her research interests are varied, from spectacle and audience-related issues to socially-engaged art practices, exhibition histories, sustainable ecologies and performance-based projects. The lecture will be conducted in English. All welcome. * English only. No translation available. 2017 ushered in the Trump era, casting into sharp relief the political, social and economic chasms that had been seemingly smoothed over by the globalization rhetoric of the 1990s and 2000s. What is the role and relevance of curating at a time when cultural systems – international and local – are being fundamentally challenged? In this seminar, I will discuss the idea of sustainable curating and explore its implications on curatorial ethics, the spaces/places in between exhibition sites and the textures of time, with reference to my recent projects and ongoing research. Lim, Michelle. “Mapping Asia through Dance.” In the publication accompanying Berlin-based Singaporean artist Choy Ka Fai’s SoftMachine installation and performances at the Sadler’s Wells Theatre in London, UK, from 3 October to 10 December 2016. Lim, Michelle “Flâneur on the High Line: The Tenth Avenue Square and Structures of Viewing in a Public Space.” In Undercurrents: Experimental Ecosystems in Recent Art, edited by Anik Fournier, Michelle Lim, Amanda Parmer and Robert Wuilfe. New York: Whitney Museum of American Art, 2010. Lim, Michelle “Wonder Beirut: History of a Pyromaniac Photographer (1998-2007).” In Nobody’s Property: Art, Land, Space, 2000-2010, edited by Kelly Baum. New Haven, CN: Yale University Press, 2010. Michelle Lim is an art historian and curator based in New York and Singapore. She holds a PhD in art history from Princeton University and was a Curatorial Fellow in the Whitney Independent Study Program 2009/10. 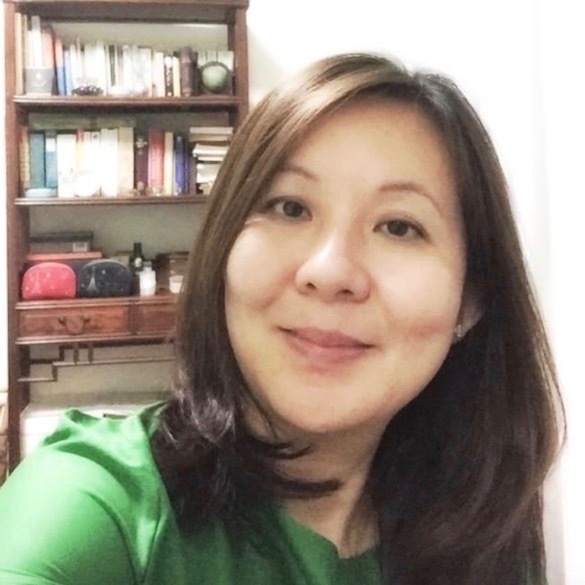 Michelle has worked on research and curatorial projects for institutions such as the Asia Society Museum in New York, the Whitney Museum of American Art, Princeton University Art Museum and the National Museum of Singapore. She taught Asian art history at The Cooper Union and contemporary curating at the CUNY Graduate Center in New York before taking up the faculty position at the NTU School of Art Design and Media in Singapore in 2014. Michelle recently chaired an international panel on “The Work of Biennales: Aspirations and Functions” for the 2016 Singapore Biennale Symposium Why Biennales At All? and presented a paper “Out of the Center: Remapping Points of Encounter” for the 2017 College Art Association panel American Art from Asia in New York.